If I could give Mr. Needham additional stars I would. He was honest, open, and respectful from day one. My wife and I recently purchased an 06 Corvette from Kodak Motorsports and could not be happier with our decision. The cars on this lot speak for themselves. Mr. Needham took the time to review multiple cars with me to assist in this decision. Never once did he try to "sell" me a car. He provided me with an honest review of several of his cars, considering my budget and long term goals. I would encourage anyone looking for a quality used car to stop by and see for yourself. Bought a beautiful c6 corvette with Doug. Both him and his wife were very nice and personable. They cleaned up the car before I got there and had everything ready for me. Doug has clearly been in the business a long time and knows the only way to get people to come back is to treat them right. I would have no problem coming back to Doug and Kodak Motorsports will be the first place I look for my next vehicle. I looked at all of his vettes and everyone of them would've been great cars. He has high standards when he chooses what goes on his lot and it showed. I have been driving my car for some time and I dont regret one bit of it. Thanks Doug. "These are good people to deal with. I appreciate their honesty." "Just recently purchased a 2004 Chevy SSR from Doug and Jeannie and everything was wonderful. They went out of there way to make sure that I would be satisfied with my purchase. I have never owned a vehicle that I enjoy driving as much as this one. One of our friends in Missouri is now wanting an SSR, and I have asked Doug and Jeannie to be 'on the lookout' should they find one the same color and condition. I will definitely be a repeat customer should I decide to purchase another vehicle of this type. They are great folks and the kind you really 'want' to do business with. Thanks for everything"
"Just got a 2005 SSR. Great car and great experience! Owners were wonderful to deal with!" "My husband and I purchased a beautiful white corvette which we love. Doug was great working with us to get things done so we could drive it back to WV when our vacation was over." "Thank you so much for everything you did for me. 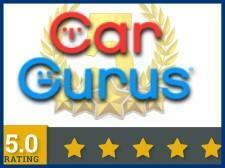 "The best used car purchase experience ! Seller is honest, professional & goes beyond to assure customer satisfaction. You can purchase unseen, I did ! Great cars and great service!" "Great couple to work with! Very friendly and loved sharing car stories with them. We definitely recommend them! Thanks Doug and Jennie"
"Best Auto Purchase Experience of My Life! Doug and the folks at Kodak Motorsports have made me a customer for life. Initial Contact: When I called to request information about my vehicle, I received an immediate call back from Doug, who clearly had been in the business for years. He was helpful, knowledgeable, and even walked me through the carfax over the phone. It gave me the confidence to make the 3 hour drive to Sevierville, TN. Purchase Process: When I got to the dealership, it was clear that they had the car detailed before I arrived. That was a welcome surprise! Doug was honest and fair with his pricing. No haggling, no bait and switch. He even held the car for me until my financing went through. Above and Beyond: Here's where we go from professional to exceptional service. Because I drove my personal car 3 hours, I needed to tow it home with my newly purchased BMW X5 (see attached photo). When the U-Haul store incorrectly attached the hitch to the X5, Doug helped me (in the rain) to reattach the hitch and load my car up. This was no easy task! Summary: Doug and his team walk the perfect line between 'family business' and 'professional service'. After purchasing used BMWs for years, what sets Kodak Motorsports apart from the pack is the personal touch from Doug and the professionalism to ensure the car was serviced, painted, and detailed before I ever got to the lot.  If you've found a car online and are asking yourself if this is a reputable lot, I hope this review helps you!" 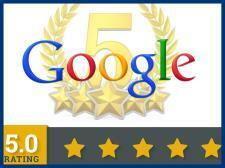 "Great people and service! Doug and Jeannie were awesome to work with in buying my 08 corvette." "We would recommend this dealership to anyone who doesn't like being pressured into buying a car! The 2004 Corvette we purchased was spotless, and in excellent condition...Jeannie and Doug were so helpful and kind ! They sell cars in super condition... I hope the word gets around that this is the very best dealership for pre-owned cars and trucks in east TN!" 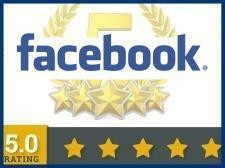 "Awesome service and very honest, would recommend to anyone looking for a awesome clean car. This is the place to go, you won't be disappointed in anything on the lot. Love my G8 GXP Thank you ......."